On November 23, 2011, FMCSA released a Final Rule prohibiting the use of hand-held mobile telephones by drivers of commercial motor vehicles (CMV’s). Specifically, drivers are banned from holding a mobile telephone to conduct a voice communication, from dialing a mobile telephone by pressing more than a single button, or reaching for a mobile phone in an unacceptable and unsafe manner. Each violation of this can result in penalties of up to $2,750 and multiple offenses can result in disqualification from operating a CMV. Upon reviewing this 66 page document, I feel that this rulemaking is going to be much more impactful on the industry than originally perceived by the trucking industry. When is the rule effective? What is considered a mobile telephone? The actual wording reads “a mobile communication device that falls under or uses any commercial mobile radio service, as defined in regulations of the Federal Communications Commission.” FMCSA used the FCC’s definition for “mobile telephone” to ensure consistency between the terms used in the rules of both bodies and to address emerging technologies. It’s important to note that because “Push-to-Talk” features use commercial mobile radio services, these devices are considered mobile telephones and fall under this rule. Are any mobile devices compliant? What is considered “within reach” for the purposes of the rule? “Within reach” means the driver can access their device while in a normal seated position with the seat belt fastened. Essentially, the device has to be ready to use before the driver starts operating the vehicle. This is relevant only when a driver chooses to have access to a mobile telephone while driving – if they don’t plan to use a device, it doesn’t matter where it is stored. Does the rule apply to radios and walkie talkies? Two-way radios or walkie-talkies can still be used for the short periods of time when communication is critical for utility providers, school bus operations, or specialty haulers. The use of CB, two-way radios, and other electronic devices by CMV drivers for other functions is outside the scope of consideration in this rulemaking. Texting is defined as manually entering alphanumeric text into, or reading text from, an electronic device. Pressing multiple buttons to make a cal, SMS, email, instant messaging, and browsing the web all fall under this definition. Any other kind of “electronic text retrieval or entry, for present or future communication” is also included. Using a GPS or pressing a single button to answer/hang up a call is NOT “texting”. It is also permissible for a driver to use a device capable of performing multiple functions (e.g., fleet management systems, dispatching devices, smart phones, citizens band radios, music players, etc.) for a purpose not otherwise prohibited. The maximum for a driver is $2,750, and the maximum for a motor carrier that requires their drivers to use such devices is $11,000. States may choose to set the amount of a fine at or below those levels. In addition, civil penalties for failure to comply FMCSA regulations may be imposed based on the circumstances of the violation. What actions can disqualify a driver under this rule? In addition to civil penalties, any driver convicted of two or more violations within a 3-year period will be disqualified from operating a CMV in interstate commerce for 60 days. For three or violations committed within 3 years, a driver would be disqualified for 120 days. 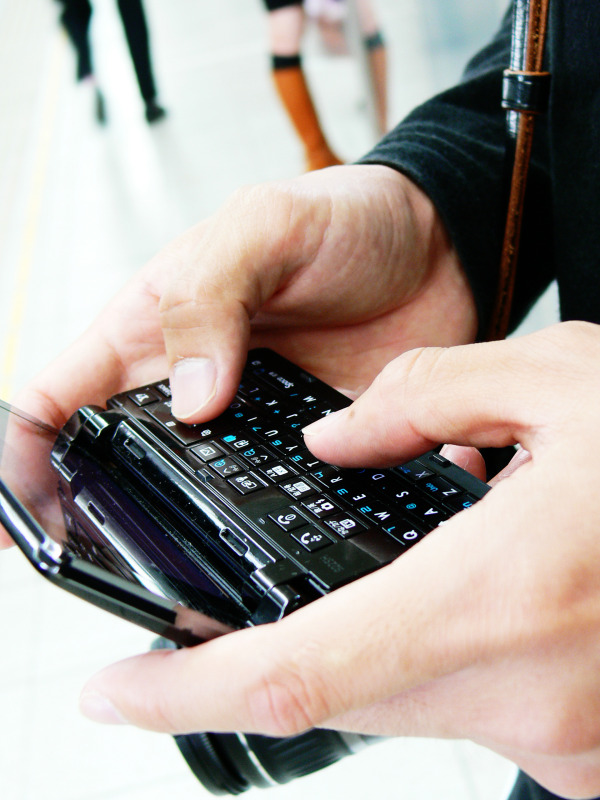 CDL holders convicted of two or more State or local violations involving the use of a hand-held mobile telephone. What is the responsibility of motor carriers/employers? The rule requires interstate motor carriers to ensure compliance by their drivers with the restrictions, so it is important for all companies to have a policy in place. Penalties will apply to motor carriers and employers who require or allow drivers to use a hand-held mobile telephone while operating in interstate commerce. Are there any previous exemptions? The only exception is that drivers may use their hand-held mobile telephones if necessary to communicate with law enforcement officials or other emergency services. In response to OOIDA on Fourth Amendment concerns, the FMCSA stated that nothing in the rule authorizes enforcement officers to require a driver to make a mobile telephone available so that the officer can review call history for purposes of enforcing this rule. Still have questions on the new rule? Comment below and I'll answer them if I can.